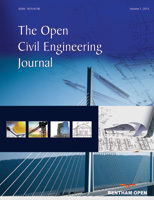 The main objective of this study is to simulate the behaviour of steel beam-to-column connections using the computer package of Finite Element Analysis (FEA) known as “ABAQUS”. This paper presents the investigations of extended End-Plate connections (EP). A one-model segment is examined under the impact of concentrated load and the exclusive boundary conditions were tested. The analysis of the nonlinear behaviour of the connection is a complicated science and needs to use programs to solve this problem. Experimental works are normally conducted for this type of studies which used more of money, time and effort. Therefore, with the availability of simulation applications, these problems can be addressed. The results of the evaluation were compared with the experimental data from the available literature. In this case, nonlinearity materials were used. A sample study on EP connections was carried out using both material and geometric nonlinearities. The comparison of FEA results with corresponding experimental results confirms the correlation and convergence between them. Keywords: Steel beam-to-column connections, Finite element, End-plate connections, Bolts, Simulate, Abaqus. © 2018 Al Fakih et al.